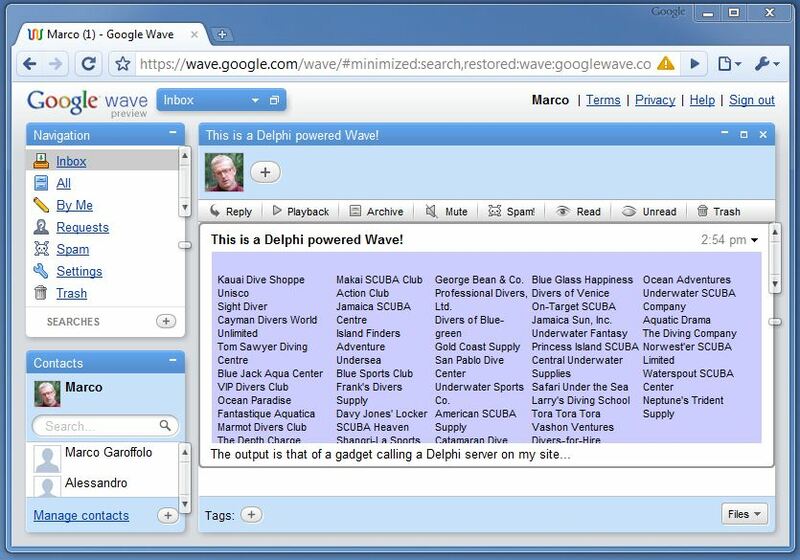 A Google Wave with a gadget powered by a Delphi REST server. Notice that the database is queried again as you reopen the wave, so the gadget can show live, changing data from your database server. This makes Google Waves more powerful than most other collaboration tools.